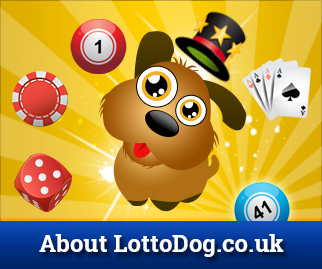 Hello, Hi and welcome to my blog here at at Lottodog.co.uk. This is a personal blog designed to give you as much detail as possible on my journey to help you with your own gambling and trading objectives. To start with, have a poke around the site What kind of articles do you see? Does it provide you with value? What it provides for you it will provide for others too. If it’s good for you then it’s good for others like you, and we recommend writing for yourself first. We have an audience of 4,000 unique visitors every month, there are others just like you who you can reach. Can you match the tone of the website? Can you match the style, the content length and the level of detail? The standard we’ve set for guest post submissions is that you need to be better than our in house writers! Below is a sample of posts that we’ve put up in the past. Your post will be published within 48 hours of it being submitted, You’ll get two links back to your site in the content or author bio, (these links are dofollow). You’ll get Exposure of your product/brand to a wider audience with over 4,000 unique visitors per month. What more do you need? Original content only; I’ve lost count of the number of times I’ve been pitched stuff that a quick google shows is available elsewhere. So only original content please! Articles should be around 400-700 words long.The target audience is for the site (generally speaking) the Millenials age group. So make sure that your content is aimed at this group. We have about 40% male readership, but we try to maintain a gender neutral approach to writing. We like articles like ‘How To..’ and ‘Ultimate Guides’ and ‘Top 10’s’ these are always are welcome. But I also value a lot high quality researched articles that provide a different view on established areas. We encourage a relaxed tone, and accessible to the target audience. Smart humour is ok. Please reference any facts to help illustrate your points. Lastly, personal experienced is really valued, personal anecdotes will help your article resonate with the readers! Get started by filling in the form below. My name is Tim, As a fellow writer and Kindle publishing enthusiast, I would like to first thank you for the knowledge your are spreading with your blog. I hope you don’t mind to feature some guest postings to your blog page that of same niche and related to your theme. Is this something that you are still open to allowing? Assuming you are willing to explore some knowledgeable post for your readers, would you mind letting me know what type of post you are currently most interested in for your blog? I feel that I have a pretty good grasp on the type of stuff your readers might enjoy and find helpful. However, I was just hoping to touch base with you to find out what you think would be best. I have flower related infographic with 200 word content or if you need more i will provide you. If this isn’t something you are interested in, then no worries! Thank you for your time and consideration, either way. I look forward to your response and keep up the great work!